Interpreting within a mental health context. develop awareness of issues involved in health interpreting, including a heightened appreciation of the relevance of professional ethics. Interpreting is a life-long learning process, especially in health, where every consultation may present new and diverse challenges for an interpreter, both in the medical terminology aspect as well as other technical and ethical aspects. The training program encourages participants to upgrade their subject knowledge and interpreting skills on an on-going, self-paced basis, and provides participants with a good foundation to respond well to ethical dilemmas that they may encounter from time to time. 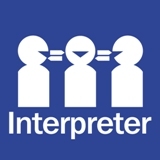 The ultimate result being sought is to increase the self-confidence of interpreters in the performance of their duties in a health context, so that - together with clinicians and staff - interpreters can help facilitate the best health outcomes for the Queensland Health patients they assist. Module 1 - for interpreters with less than five years experience as an interpreter, or those who are not accredited by NAATI. Module 2 - for interpreters accredited by NAATI and with more than five years experience. The health system in Queensland and structure. All interpreters who provide services to Queensland Health should participate. Queensland Health's preference is to work with interpreters who have participated in this training. Click here for more information on working with Queensland Health as an interpreter. Training programs are offered each quarter at no cost to participants. Interpreters interested in participating in these programs should contact Queensland Health Multicultural Services on 3328 9871. Click here to go to the Queensland Transcultural Mental Health Centre’s webpage to learn more about training programs for interpreting in a mental health context.